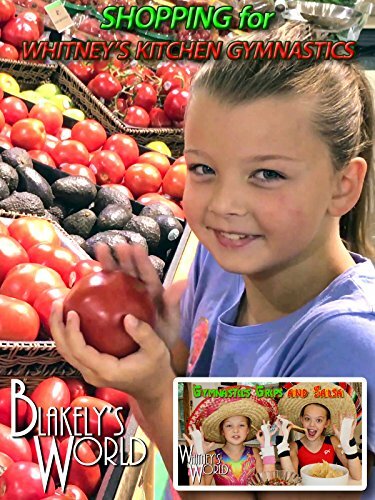 Blakely was in charge of the shopping for the ingredients needed for the Gymnastics Grips and Salsa Episode of Whitney's Kitchen Gymnastics. Here Blakely picks out only the finest ingredients, soon to be chopped up to make fresh tomato salsa. Blakely also tries her luck at juggling fruit.